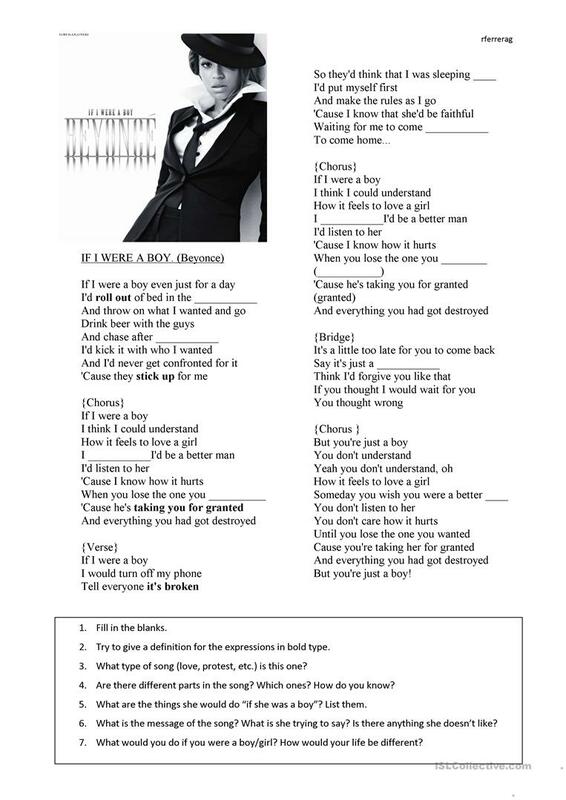 Song: Beyonce "If I Were a Boy"
Students will analyse different aspects of Beyonoce's song to practice various skills: listening comprehension, writing definitions, getting the mood of a song, grammatical aspects such as second conditions, etc. The present downloadable printable is best suited for high school students and adults at Intermediate (B1), Upper-intermediate (B2) and Advanced (C1) level. It is great for consolidating Conditional II (second) - would in English, and is excellent for honing your class' Listening, Speaking and Writing skills. 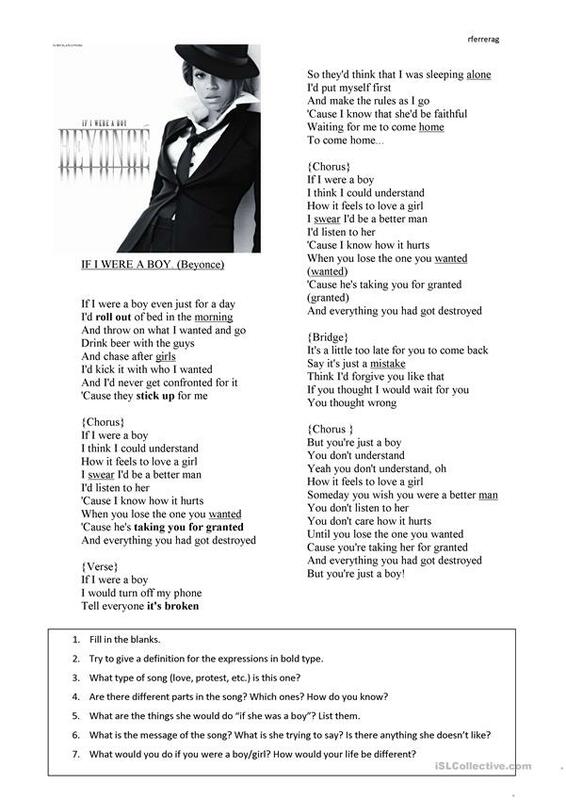 It centers around the topic and words of Being young, growing old, Debate, Feelings, emotions and Female and male roles. You will find the answers at the end of the worksheet.